Author: Caldwell, Bo Set In . . . Description: For Anna, the narrator of Bo Caldwell's richly lyrical and vivid first novel, growing up in the magical world of Shanghai in the 1930s and 1940s creates a special bond between her and her father. He is the son of missionaries, a smuggler, and a millionaire who leads a charmed but secretive life. When the family flees to Los Angeles in the face of the Japanese occupation, he chooses to remain, believing his connections and luck will keep him safe. He's wrong. He survives, only to again choose Shanghai over his family during the Second World War. Anna and her father reconnect late in his life, when she finally has a family of her own, but it is only when she discovers his extensive journals that she is able to fully understand him and the reasons for his absences. 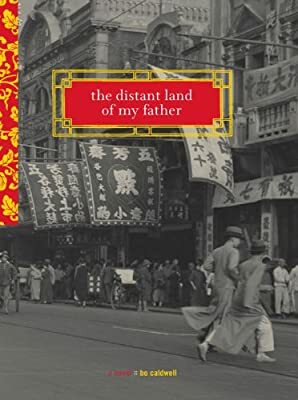 With the intensity and appeal of When We Were Orphans, also set in Shanghai at the same time, The Distant Land of My Father tells a moving and unforgettable story about a most unusual father-daughter relationship.